The key factor in maximizing profits is table management. Getting customers in is just the first step. You need to seat, serve and turn tables quickly. Table turn equals satisfied customers and much more revenue. Here is how you can improve table management. Look for a point of sale (POS) system that includes robust table management features, such as a customizable floor plan that makes it easy for hosts to track which tables are filled or available. Your POS solution can provide a wealth of data to help you make informed decisions about other factors that influence table turnover, from labor scheduling to average food prep times. The availability of tableside ordering and payment also increases turnover rates. How much space you have, the type of restaurant and typical clientele will determine the best table layout, whether for romantic fine dining or family-friendly meals. Sales data from your POS system will indicate what party sizes you serve most often (and their preferences for tables or booths), so you’ll have a better idea of whether you need more two-seaters, four-seaters, or smaller tables that can be combined into larger tables as needed. In addition to an optimized floor plan, good table management includes effective labor distribution. Assign servers specific areas and tables to cover, and have your hosts seat guests as evenly as possible throughout those zones, at staggered times if possible. Don’t put all the large, slow parties in one server’s corner. At your busiest times, data from your POS system will indicate your most efficient servers and how much they can handle so you can keep things moving most efficiently. Dining experiences can vary in time, but your staff can be trained in ways to best utilize the time between taking orders and serving food. Identify best practices and create a procedure that your wait and bus staff follow consistently. For example, have your servers greet customers within one minute of their being seated. Have hosts call guests to the host stand and tell them they’ll be seated shortly while the bus staff is still cleaning and setting the table, rather than waiting until it’s done. Anything that shaves seconds off the process will add up to higher table turnover rate. Bonus tip: to increase table turnover, try raising the volume and tempo of your ambient music. Research has shown that faster, louder music can actually make people increase their rate of chewing by almost a third! Your restaurant POS system should include reservation management features to keep track of all types of reservations, whether made on the phone, in person, or online. This will help ensure that you never overlook a reservation or bump someone out of their place in the queue. You can also integrate with the table management features to make sure the right table type is available at the specified time. Effective table management processes are key to efficiency, maximum table turnover rate — and customers happy with the prompt service they receive. Focus POS has spent more than twenty years helping restauranteurs find the solutions that will grow their businesses. For more information about table management features for POS systems, contact us to request a demo. Focus POS sets the industry standard for restaurant management software. The myFocus Product Suite is a robust, cloud-based restaurant management and reporting system. myFocus Mobile is the ultimate way take your restaurant data with you everywhere you go. 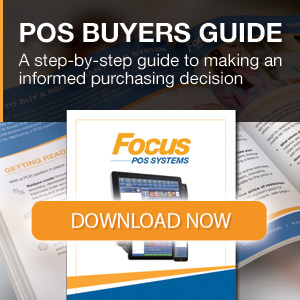 Sync POS offers Focus Online Ordering, which helps streamline ordering, improves accuracy and decreases wait times. Show your frequent customers that you care with the myFocus customer loyalty program. Enhance your Focus POS solution with additional modules including inventory, reporting, labor scheduling, gift cards and loyalty.